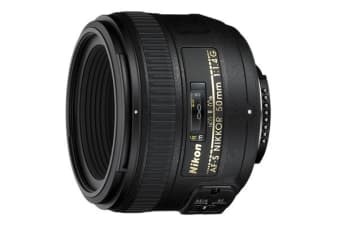 This compact and lightweight lens provides excellent value for money if you are looking for a sharp, high quality 50mm lens. Take beautiful pictures in any lighting environment with the fast aperture of F1.4. Acheive highly sought-after background blur effects at the lens’ wider aperture settings. Newly developed optics help to minimise sagittal coma flare and chromatic aberration. Nikon includes the Silent Wave Motor to drive the auto-focus functions, keeping operating noise minimal.